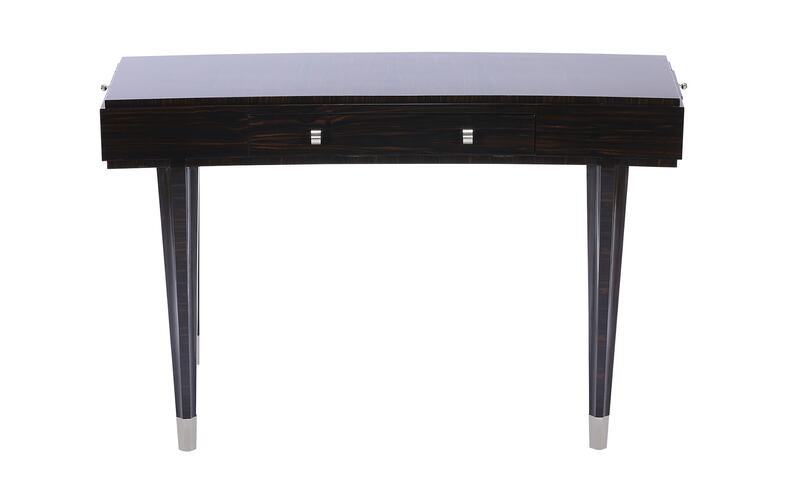 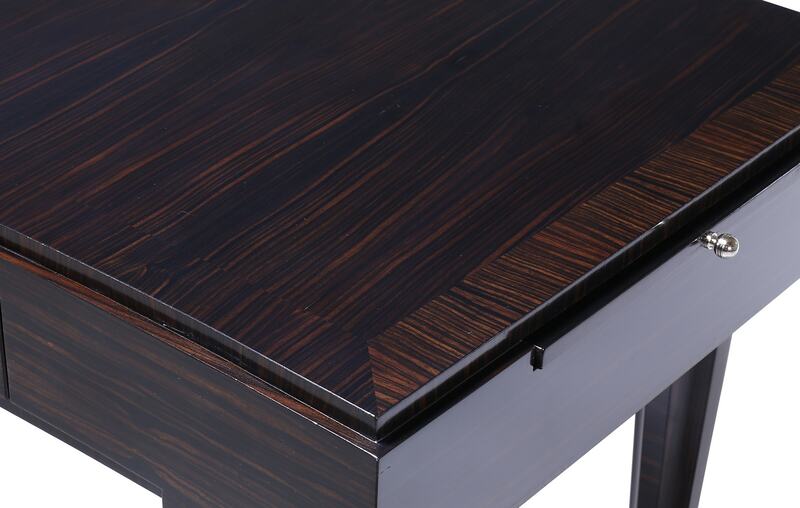 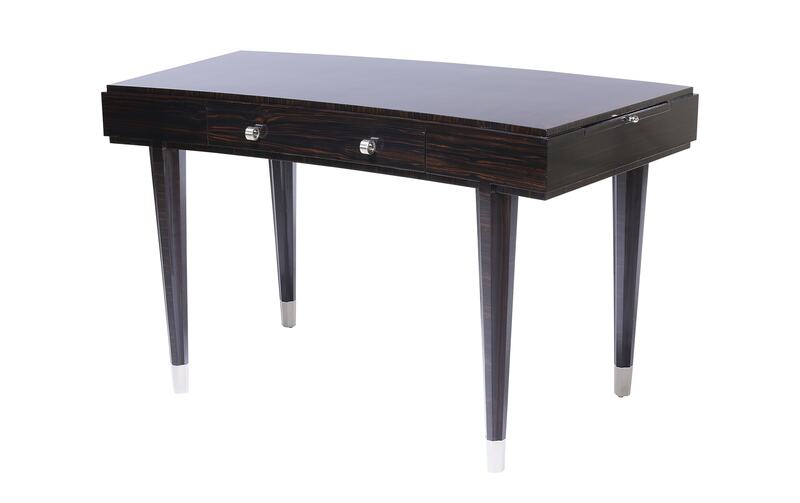 Created for writing words of note and importance, Le Colonade Writing Table is an elegant, functional design from the mind of furniture visionary Lucien Rollin. 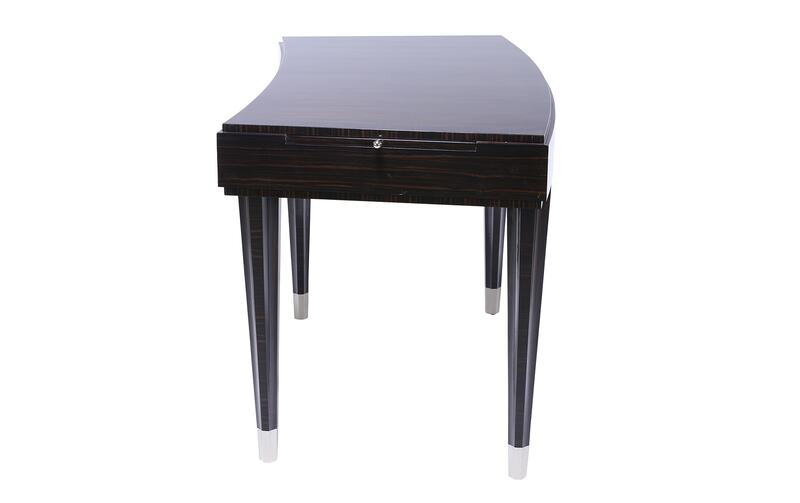 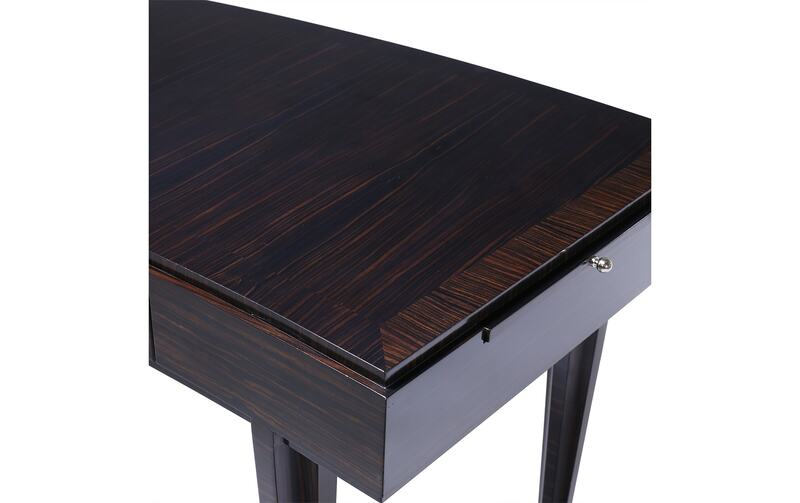 Crafted from a solid Beechwood frame with Macassar Ebony veneers and brass, nickel or bronze hardware, this piece also features an inset Harlequin tooled leather top. 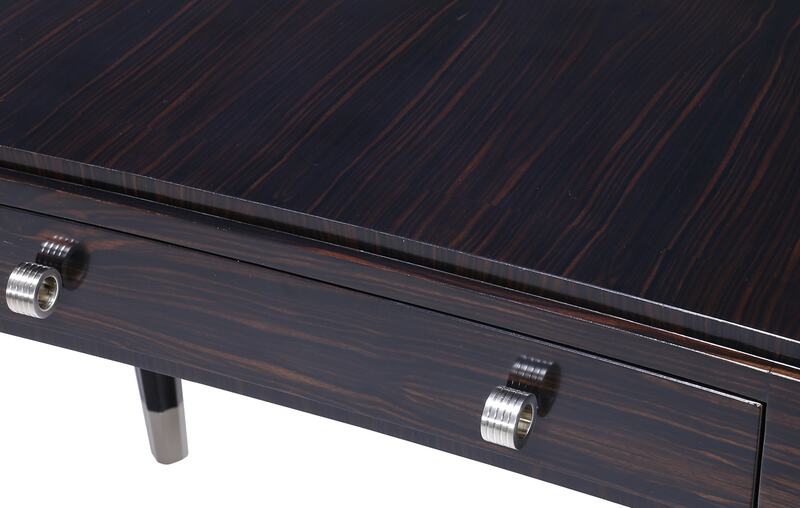 Part of our Lucien Rollin collection, a series of previously unavailable designs from the French master – painstakingly recreated by the artisans at William Switzer. 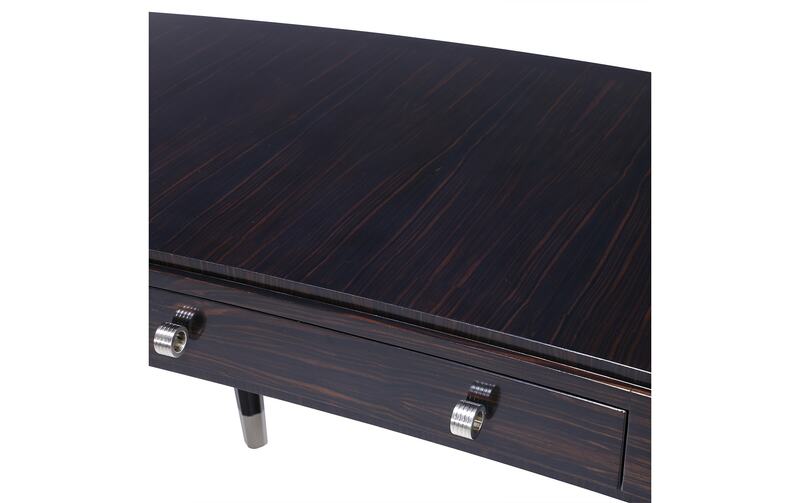 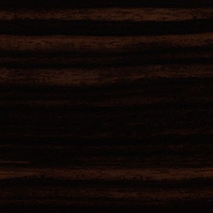 Macassar Ebony Veneers, Solid beechwood frame, Metal Hardware, Tooled Leather top.